Free family fun is scheduled for Pelham’s Family Day activities, next Monday, February 18, at the community centre. The centre and walking track will operate on special holiday hours— 8 AM to 4 PM, with free activities beginning at 11 AM. The Family Day schedule includes a free public skate, 11 AM to 12:30 PM; free family gym time, 11 AM to 1 PM (indoor, non-marking shoes required); free laser tag, 11:30 AM to 12:30 PM; a Community Expo, from 12 noon to 2 PM; and a Golden Boot Hockey Game, starting at 1 PM. Culture and Community Enhancement Programmer Jodi Hendriks says she’s excited to host Family Day activities at the community centre for the first time. The Golden Boot game, now in its third year, matches Pelham volunteer firefighters against Pelham Minor Hockey Association coaches. Those wishing to attend to the game are asked to bring a non-perishable food item in support of Pelham Cares. Items such as flour, sugar, baby food (8+ to 12+), Cheez Whiz, crackers, and cookies are encouraged. 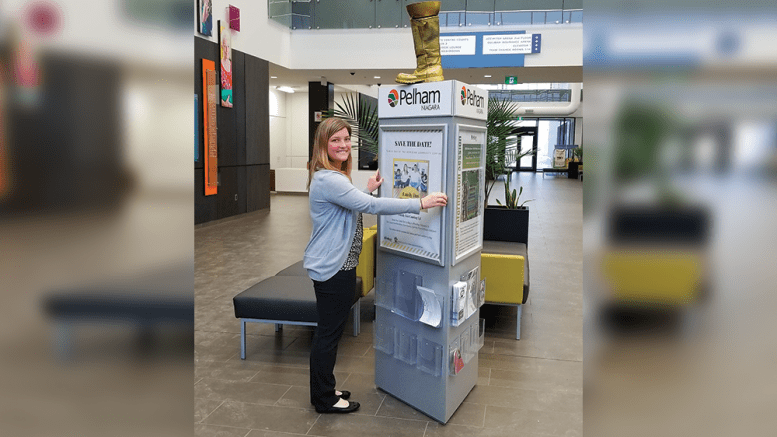 The Community Expo, from 12 noon to 2 PM, is designed for residents to learn more about the organizations and programs offered in Pelham, including Town events, service clubs, sports organizations, theatre, parks and trails, arena programs, fitness classes and festivals. 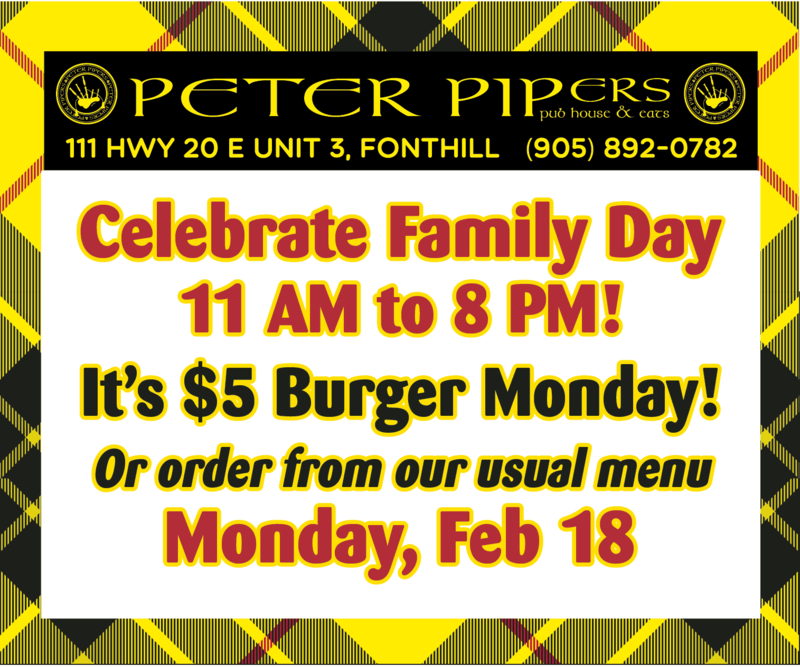 In a news release, the Town thanked sponsors of the Family Day event: Peter Piper’s, My Pelham, and the Mayor’s Youth Advisory Committee. For more information about Family Day in Pelham, visit: www.pelham.ca/family-day. In addition to Alberta, where it was first held in 1990, Family Day is observed on the third Monday of February in BC, Manitoba, Ontario, New Brunswick, Nova Scotia, PEI, and Saskatchewan. It is not a federal holiday. Updated to correct the Community Expo duration, which is actually 12 noon to 2 PM.